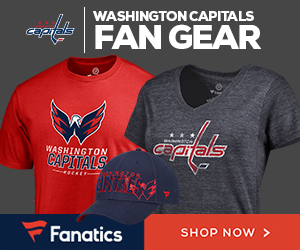 Brett Connolly on Tuesday became the fifth Capitals player to score at least 20 goals, tapping in a Christian Djoos pass in the second period to give the Caps a 2-1 lead. Connolly was already having a career year, having topped the 15 goals he scored each of the past two seasons, not to mention the 27 points he had last season, to his 41 so far this year. This has been quite the season for Connolly off the ice as well, as fan Tyler Duchaine got a tattoo of Connolly eating a pizza while getting his own tattoo, not to mention the announcement of the Connolly bobblehead from Inova (you see what our priorities are for having quite a season ‘off the ice’). Other players in the Caps’ 20-goal club this season: Tom Wilson, T.J. Oshie, Jakub Vrana, and Alex Ovechkin. Expect Nicklas Backstrom and Evgeny Kuznetsov to also hit to 20 goal mark before the season ends.